A digital download of the album, and much love from Lana! A hard copy of the album, signed by Lana if desired, to be picked up at the CD Release in Toronto, or shipped to you! This will give you the chance to attend a live kirtan event that I lead in 2016 or 2017. You will take home a hardcopy or digital copy of the album as you prefer. Receive a free pass to one of Lana's Yin Yoga classes in Toronto, as well as a copy of the album. Lavender neck massage included, and she will sing to you in savasana! This perk sends you sweet gratitude from me for supporting this album. For those that may live far away or want to offer a no-strings attached donation! Thank you! 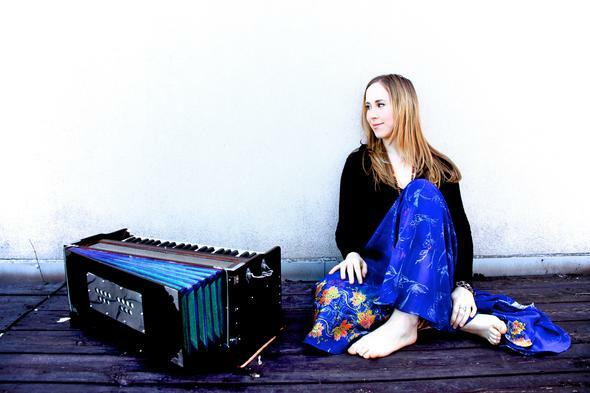 Lana will spend an hour with you and a harmonium showing you how to play some of your favourite chants and get more comfortable with the instrument! Or, learn some tools on how to open up your voice and sing more confidently. Lana will come to you and offer live music and mantra in a yoga class or for a special event in your space. She will be solo without a band, so it will be a more intimate and ambient experience! Sponsor one of the songs on the album. You can decide which mantra resonates and your donation will go to the production/mixing/mastering process and the musicians on the track! Lana will travel to you (distance negotiable), and lead a 90 minute kirtan with 2-3 fellow musicians for a special live chant experience! Beloved Canadians: Please note that all contributions are in US Dollars! 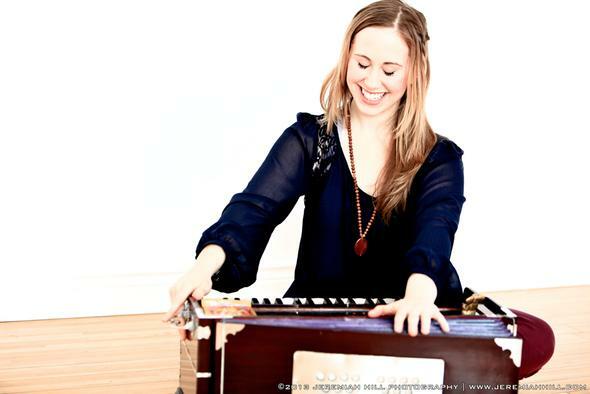 In 2009, I began to lead kirtan in Toronto - the same year I completed my Jivamukti and Yin Yoga teacher trainings. 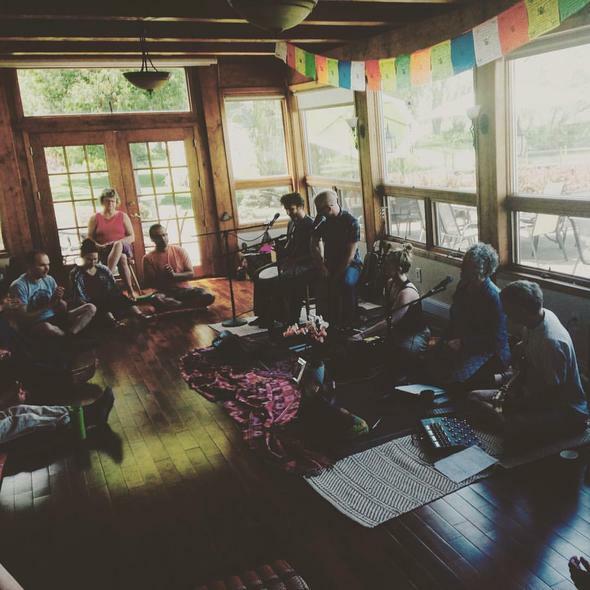 Slowly, I began to offer chant in yoga studios around Toronto and would travel down to Bhaktifest in California to sing harmony with other artists and immerse myself in the practice. My first album, Invocation, was released in 2013. Kirtan is a merging of my love for music and mantra. I graduated from Sheridan College's Music Theatre program and work in theatre doing musicals and plays throughout Canada. Over the years I have had the opportunity to sing and play with Girish, David Newman, Brenda McMorrow, Narada Wise, Suzanne Sterling, Mike Cohen, Swaha, Sri Kirtan, Adam Bauer, and many other Canadian artists. This spring I completed my first kirtan tour through Ontario and decided it was time to begin a new album with the chants I was writing and offering live. I am delighted to be working with Chris Gartner once more- the producer of my first album, Invocation. We began recording in May and have 7 rough tracks so far. Guests artists include David Gluck, Kevan McKenzie, Samuel Salsbury, Narada Wise and Brenda McMorrow contributing guitar, drums, violin, sarangi, and vocals. I am hoping to include Marla Meenakshi Joy and Landon Chatterton as well. My goal is to have the album completed by December 2016, and to do more touring in 2017, sharing the magic of mantras! The root of kirtan- 'kir' can translate as 'to cut'. With the repetition of mantra we 'cut' through the mind stuff- getting out of our heads and into our hearts and voices. I think it is incredibly valuable to create a safe and sacred place for people to gather and share their voices and receive peaceful vibrations. Choosing to focus our attention on something sweet, elevated, fierce, (or whatever aspect of the Divine we feel we need to call upon) is a powerful practice. Chant can be an opportunity to connect deeply with ourselves, with community, and to find fullness in silence. All of the funds collected will go towards the completion of the album. Most of this will be production, mastering, printing CDs, and online distribution. A percentage will go towards photography, album art, and to the musicians adding their gifts to the tracks. Any extra funds will be used for the CD Release and touring.